Successfully Added Car Dashcam with Night Vision "ProteX" - 1080p, G-Sensor, 4x Digital Zoom, 2 Inch Screen to your Shopping Cart. 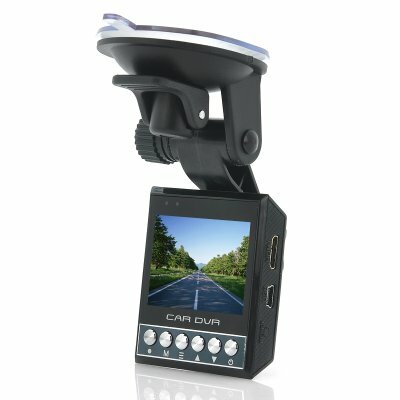 Car Dashcam with Night Vision, 1080p resolution, G-Sensor, 4x Digital Zoom, 2 Inch Screen and more. Record your car journeys with ease. When out on the road, many things can happen. An accident is always hidden in a small corner and to help you make the best out of every situation, the “ProteX” records the road in front of you. This video evidence can later be used in case the insurance company needs more proof or if the cause of the accident wasn’t clear. Having video evidence doesn’t only make it easier to receive compensation from your insurance but can in some cases also reduce the cost of your annual insurance premium. Equipped with 2 night vision infra red LEDs and 4x digital zoom, the “ProteX” can record video day and night and this in up to 1080p quality. 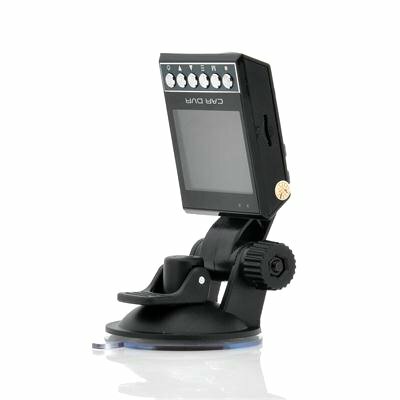 Furthermore, this car camera set comes with everything you need to start recording such as a mounting bracket with suction cup to attach the “ProteX” to your car’s windscreen, a car charger and even an HDMI cable. Boasting a 2 inch screen, video’s can easily be viewed on the dash camera itself or by plugging it to a TV through the HDMI port. Ultra small, this car dashcam is not much bigger than a box of matches and won’t restrict your view. Now in stock, the “ProteX” can be shipped out within one day and comes with a 12 months warranty. Brought to you by the leader in wholesale Car DVRs and Car accessories, Chinavasion. It starts up and starts recording when you start your vehicle which is nice. Has the ability to lock a file to prevent erasure in case of an incident. Small. Fits nicely in your pocket. I use a soft eyeglass case cut in half to store in it. For what you pay, it isn't bad. At least you can capture the basics while driving. The loop function is not great. Rather than using all the space then deleting your oldest first, it simply erases the last one recorded, so a large chip really isn't even worth using. Parts of the RGB in the camera go out at times. Picture may be yellowish, bluish, etc and flickers a lot. Probably a short somewhere. Video is not as clear as hoped for a 1080p camera. Biggest issue is the battery. Only a 15min record time from a full charge. So you have to use the charger continuously. Night LEDs are only good for non-vehicular use. Doesn't affect driving at night. boots within 5 seconds. starts recording right away. great at night! three stars for the DVR's battery life in contrast to five points on the hardware itself. the device was great! i tried charging it over night as instructed ,but to my misfortune the battery still holds a measly 20 seconds of charge..no juice at all..... awesome device otherwise. so i improvised.. I just leave it plugged in the vehicle's outlet. I'm still using it to this day through the car outlet. Note* you will need a micro SD card to run this equipment.